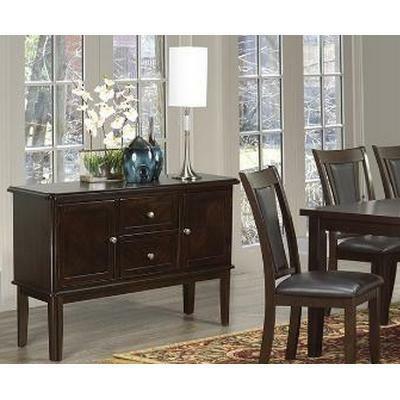 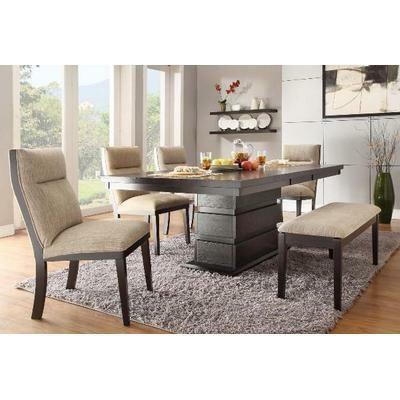 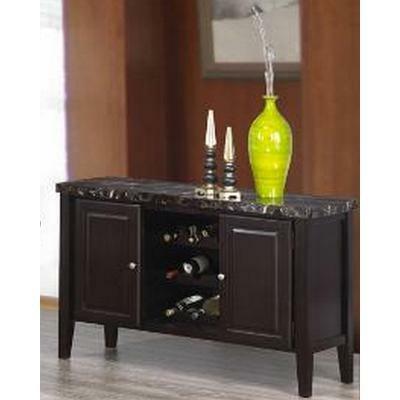 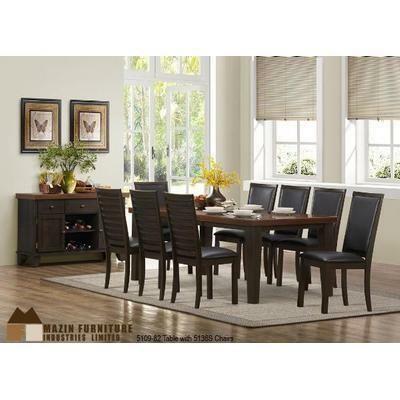 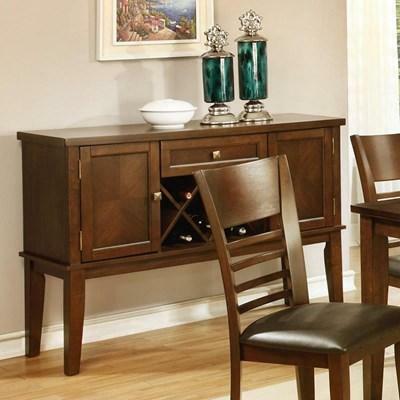 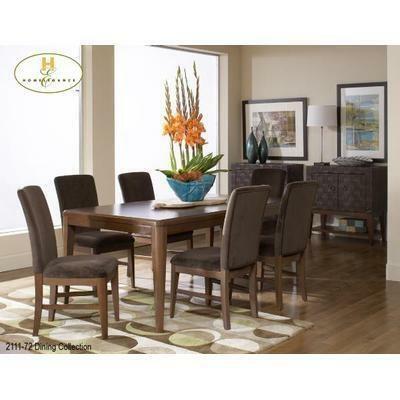 This Server will bring plenty of storage in your dining room. 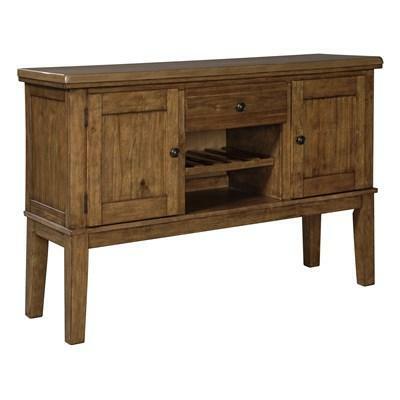 It features two drawers, two doors and stands on tapered legs. 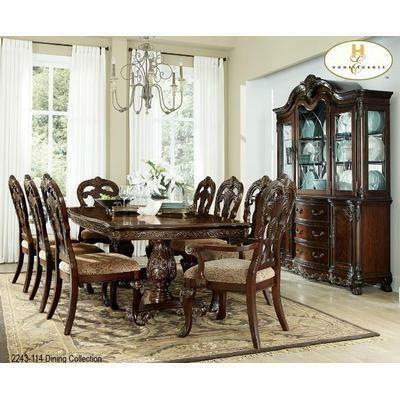 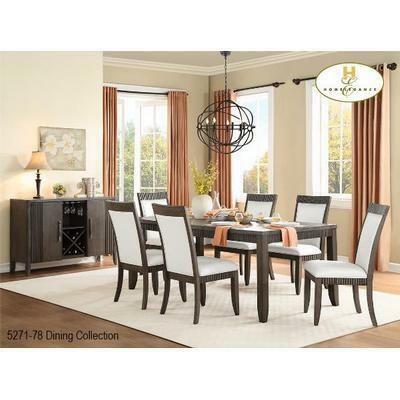 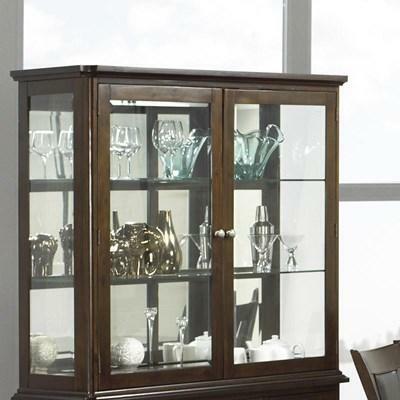 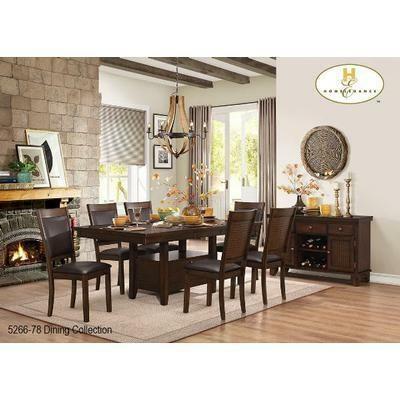 This china hutch features a beautiful dark brown finish, two doors with two shelf all made of glass for an elegant look.